We have performed over 35 procedures using CT-fluoroscopic-assisted TBNA, of which the first 27 have been analyzed . The 27 patients were selected to undergo this procedure either because of previous unsuccessful biopsy (n = 7) or on the basis of a clinical decision that the lesion might be too small or inaccessible to reach if TBNA was done in a blind fashion. Only one patient had undergone prior percutaneous needle biopsy. Among the 27 procedures, 15 were performed for mediastinal nodes and 12 for lung nodules or areas of consolidation. The average mediastinal lesion size was 1.7 cm (Fig. 11). Metastatic non-small-cell cancer was diagnosed in 4 patients, and small-cell cancer in 2. Of 9 patients with nondiagnostic TBNA, 2 patients underwent thoracotomy that showed non-small-cell cancer and thus had a falsely negative TBNA. Of the remaining 7 patients, 2 underwent mediastinoscopy that proved negative, 2 had stable adenopathy on a 1-year follow-up, and 3 did not return for further evaluation. Overall, a correct diagnosis was obtained in 10 of 12 (83%) of patients who had clinical or pathological follow-up. Figure 11 A 72-year-old man with a right paratracheal node. Computed tomography fluoroscopic image shows bronchoscopic needle in the node. Diagnosis was non-small-cell lung cancer. were immunocompromised, the lesions resolved with broad-spectrum antibiotics, suggesting an infectious etiology. The mean total room time was just over 1 hr. The mean time from first to last use of the CT scanner is 49 min. The average duration of use of CT fluoroscopy was 228 sec. Using dose factors of 120 kVp and 30-50 mA, the approximate range of skin entrance doses for the procedures was 8-52 cGy. 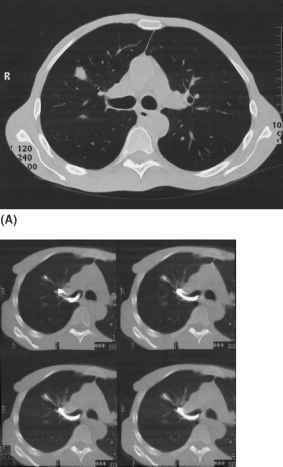 We identified several factors that may have led to failure to diagnose mediastinal or lung lesions by TBNA. In most cases of mediastinal adenopathy, the target lymph nodes were only slightly enlarged (1-2 cm) and therefore constitute a subset that is known to be difficult to diagnose by TBNA. Several of the patients had undergone previous TBNA using conventional fluoroscopic guidance with indeterminate results, so that obtaining a specific diagnosis was probably more difficult than in a typical population referred for bronchoscopy. In several instances, the needle was convincingly documented in the lesion but no definitive pathologic result was obtained, suggesting sampling error (Fig. 14). In certain patients with mediastinal or lung abnormalities, the bron-choscope could not be manipulated in a manner that would allow the needle to reach the lesion despite imaging guidance. Figure 12 A 41-year-old man with right upper lobe nodule. (A) Computed tomography scan filmed on lung windows shows a bronchus extending into the lesion. (B) Multiple images from a CT fluoroscopic acquisition show the needle within the nodule. Windowing adjusted for best display. Diagnosis was non-small-cell lung cancer. Figure 13 A 74-year-old man with acute leukemia and left upper lobe consolidation. Computed tomography fluoroscopic image shows the needle within the infiltrate (arrow). A diagnosis of aspergillus was made. Figure 14 A 49-year-old man with a right apical medial nodule. Computed tomography fluoroscopic image shows needle apparently within lesion. 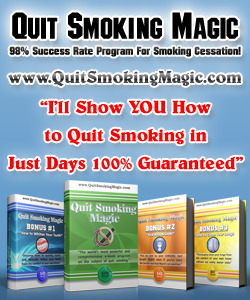 Only benign bronchial cells were aspirated. 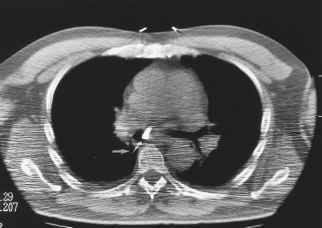 Lesion subsequently proved to be lung cancer. Figure 15 A 66-year-old man with a subcarinal lymph node. Computed tomography fluoroscopic image shows inadvertent needle placement in the lung (arrow). No complication occurred. repositioning. Complications such as pneumothorax and hemorrhage in the lung could be detected rapidly although neither occurred in our series. Other investigators have reported a favorable experience using CT fluoroscopy to guide TBNA of mediastinal lymph nodes . Our experience indicates that CT fluoroscopy may increase the diagnostic accuracy of inexperienced bronchoscopists by showing the precise location of the bronchoscopic needle in relation to the target lesion. By increasing confidence in needle placement, it may also encourage more experienced bron-choscopists to use a large gauge needle when necessary.